18 April 2012: For a long time I have been less than an enthusiastic advocate of PLM based systems as a vehicle for managing development processes. Sure, the storage of data is an important way of gathering product development data. Yet, viewing and using the associated data was always difficult. 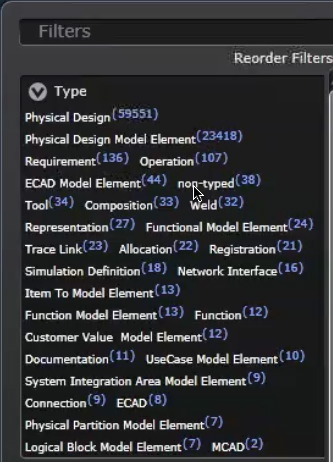 I found that, coming from a CAD background, which provides glorious views of 3D products, scrolling through page after page of data tables quickly becomes mind-numbingly tedious. Often one needs to view different datasets in different ways to attain a glimmer of data needed for decision-making. Siemens announcement recently of Active Workspace (AWS) for their HD-PLM environment is their latest, and best attempt to present data graphically to the user, making the system perform the work of visually integrating the vast amount of integrated product data. Last Fall, while attending a Siemens analyst conference, the company rolled out some preliminary information about Active Workspace. I was excited then about the long-term possibilities of revising the ways users can extract and make use of vast amounts of data. This announcement provides a very useful beginning for this project. 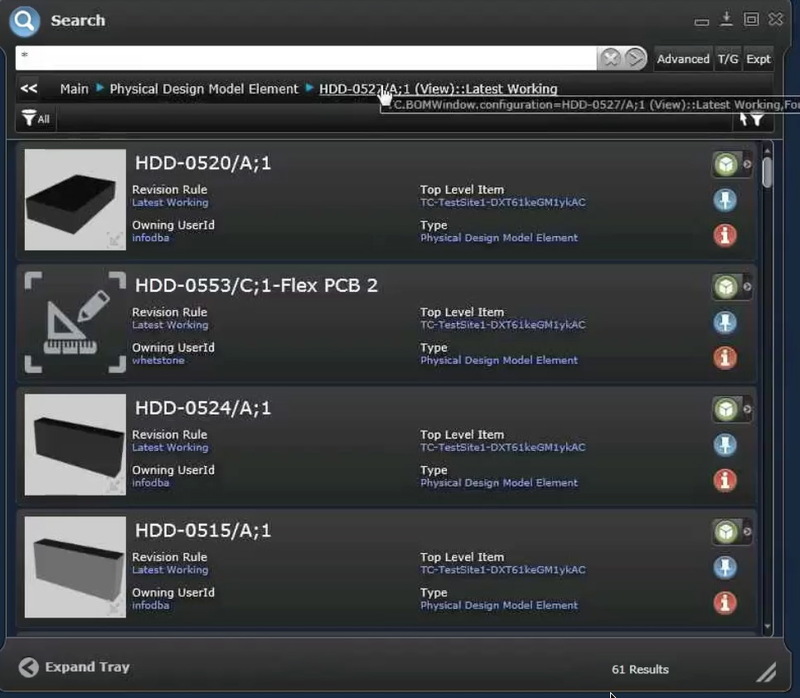 Exactly what is HD PLM? It’s not a product, but an architectural framework. 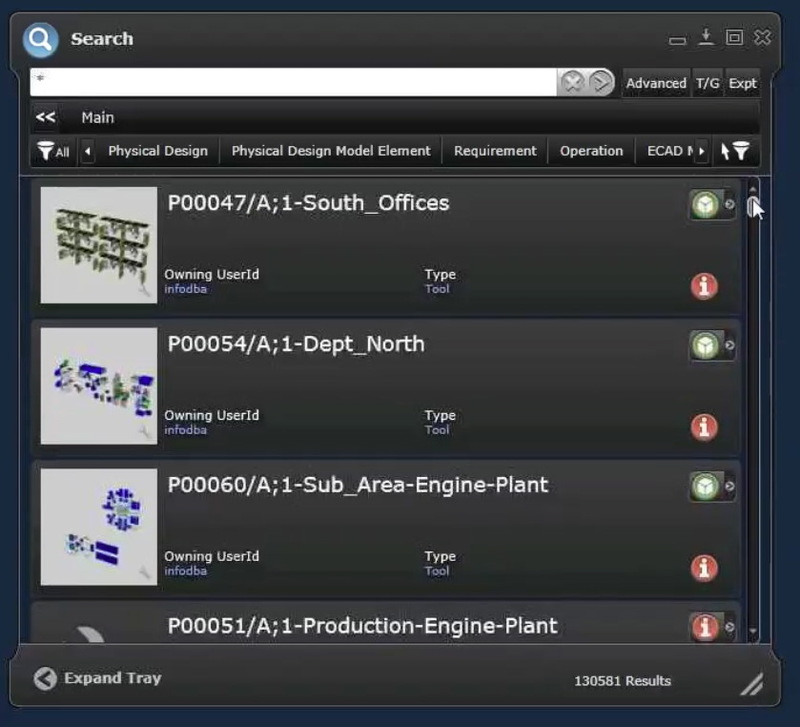 HD-PLM, announced two years ago, provides a technology foundation enabling Siemens product development team to produce a common set of integrated software tools that will identify, capture and collate the massive amount of information available in manufacturing enterprises, and apply meaning to that data using an intuitive visual environment. Lewis described AWS as a tool to help the vision of semantic data understanding enabling users to make smarter decisions using HD PLM. Indeed products are getting more and more complex. HD PLM is looking to solve this. He sees this as a tool for all PLM users; not just professional users, but casual users as well. The slide below shows the products supported by AWS. Data was taken from Teamcenter and indexed to achieve the speedy result, which took only a few seconds. Note the object filter types at the top of the screen. 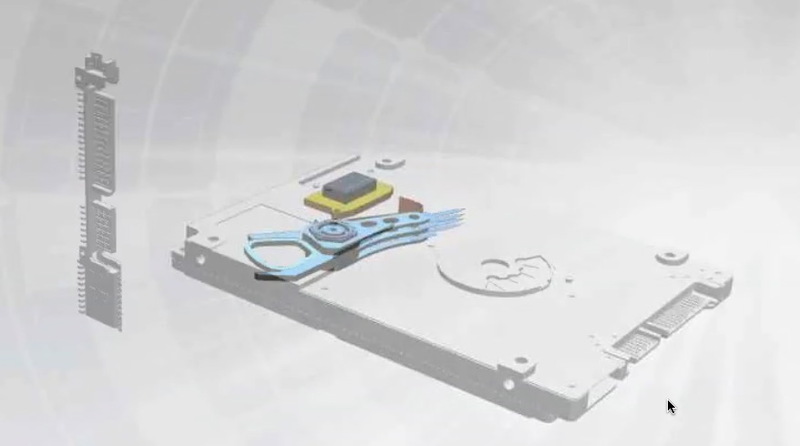 These are the physical mechanical model elements of the company, each designated with a different part number. Shown below are the types of objects from which we can choose as a high level selection. This data is already in the Teamcenter data which we extract. The data extraction methods and rates are user determined. 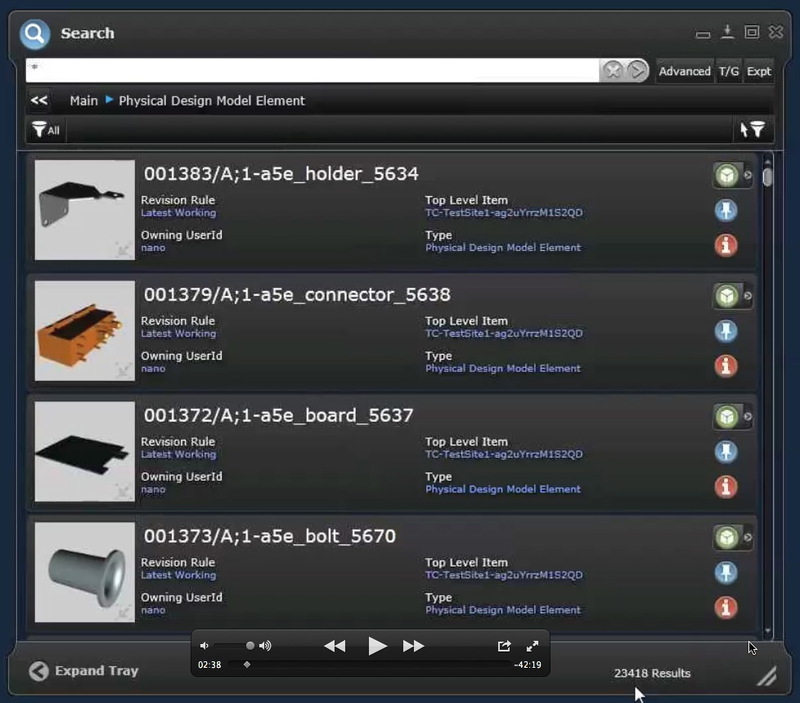 This is the tile view, showing access to other data associated with each object, such as: revision, owning user, type, and other data. Along the right side are icons that can launch applications, such as shape search and visual navigator, where used, and more info. The “more info” icon reveals attached documents such as FEA results. AWS requires the user to have a license of Teamcenter (TC). It is a companion product to TC. This is a big deal for Siemens and their users. 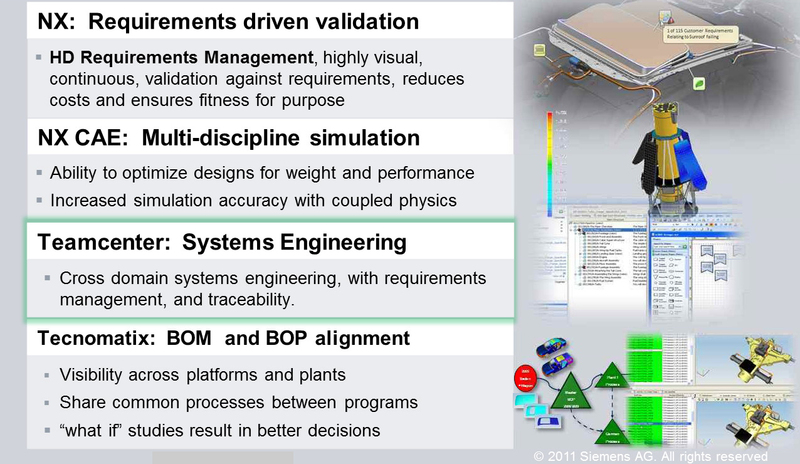 It basically allows data mining of related, or as Siemens refers to it – the semantics of the data. Semantics, or the problem of understanding, allows one to make sense of the miasma of data relations associated to products. What is the product, what functions does it do, where does it fit, what were the specifications and were they met, what tests were performed, and so on. This data is stored within Teamcenter. Making sense of the data stored in different databases is difficult. AWS seems aimed at the largest users. Early adopters include GM, Ford, JPL, and Rolls Royce. While I was turned on by the AWS capability, this release seems to have an awkward and incomplete UI. Also, the reporting and rollup capabilities need to be extended. For instance, cost rollups and product status do not seem to be available yet, but are on the drawing board. Searches are limited to single attributes. AWS V1 is available now. Maintenance releases are scheduled for July 2012 and Nov 2012. While the next major release is not due until the end of 2013, there is plenty in this release to keep users busy. Pricing seems modest. $750 per named user. But, for large installations this could add up quickly. I expect there are volume discounts. As far as competition, only Dassault Systemes with their V6 Enovia 3D Live offering is even in the same ballpark. More info can be found at www.siemens.com/plm.